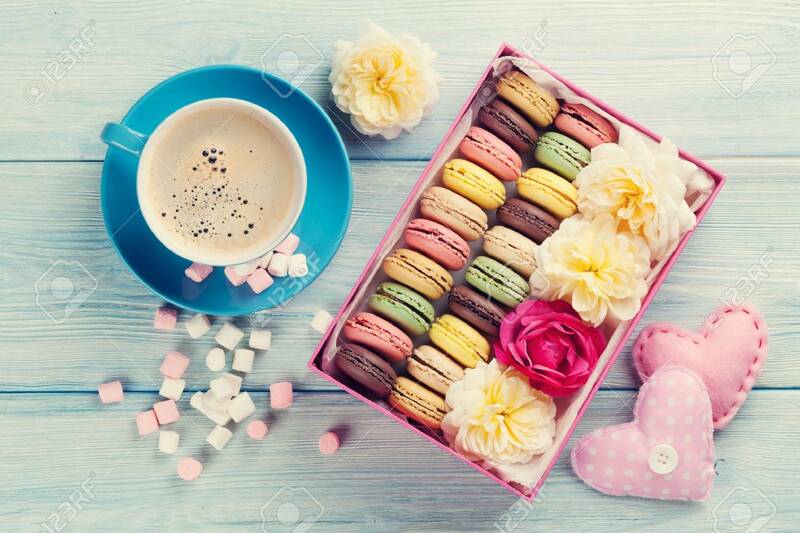 Colorful Macaroons, Coffee And Marshmallow On Wooden Table. Sweet.. Stock Photo, Picture And Royalty Free Image. Image 65260002.